Prof William Gaze is a molecular microbial ecologist conducting research in the natural and farmed environments on projects relating to human health. 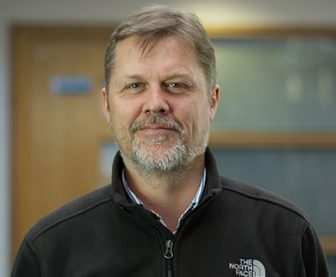 Prof Gaze’s interests include the evolution of antibiotic resistance in natural and farmed environments, particularly how biocides and detergents may co-select for resistance to clinically important antibiotics. Other research interests include the ecology of bacterial and viral human pathogens associated with protists, such as Acanthamoebasp., which act as alternate environmental hosts in soil and aquatic systems. Molecular tools are used to investigate the 99.9% of bacteria which cannot be cultured, organisms are identified by their “DNA signatures” and even their functional role in complex ecosystems can be studied. Novel resistance genes are identified from the unculturable metagenome of all bacteria (eg. >1,000,000,000 per gram of soil) by extracting DNA directly from the environment and cloning into E. coli where expression of genes can be screened on selective media.